I believe this palette may have been a limited edition. I love this palette for concealing and also mixing it with other products. I used this palette on my whole face in my last makeup post. If you would like to see swatches comment and let me know. Oh the many brush cleaners, dish soap, baby shampoo I've used and more. I decided to try out the actual beauty blender cleaner for the beauty blender sponge since that's what it's made for right? My current brush cleaner I use is baby shampoo and antibacterial soap. I have synthetic and duo fiber brushes that have stained horribly and nothing seemed to really work. I decided to use the Blender Cleanser and woooohhhlahhhh all the stains were gone. I've never seen a cleaner cleanse a brush so well. I would definitely purchase this again. It is a bit expensive but it's worth the price and I love the way it smells. It also comes in solid form. What is your favorite brush cleaner? 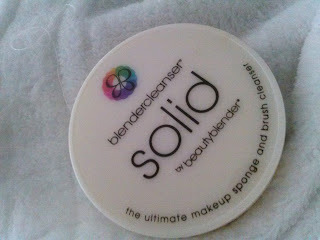 Have you tried the beauty blender cleanser? What are your thoughts? 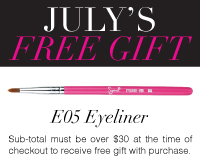 THIS MONTH WITH ANY ORDER OVER $30 YOU RECEIVE A FREE BRUSH. GREAT! Have you seen any brushes you like? What are some of your favorite brushes? Click On The Link Below For The Website!